30mar - 1aprAll DayTHE BEAUTY OF LENT, Charlestown, West VA.
Art and Stories with Brother Mickey McGrath, OSF through creative contemplation, Stations of the Cross, and Saints and Prophets of Hope and Joy! annual Day of Forgiveness - Colorful glimpses into the LIVES FOR GIVING of saintly icons in a church in need of reform. annual Day of Forgiveness – Colorful glimpses into the LIVES FOR GIVING of saintly icons in a church in need of reform. 26apr7:00 pm- 9:30 pmPROPHETS OF HOPE & JOY FOR A TROUBLED CHURCH & WORLD - Lexington, MA. 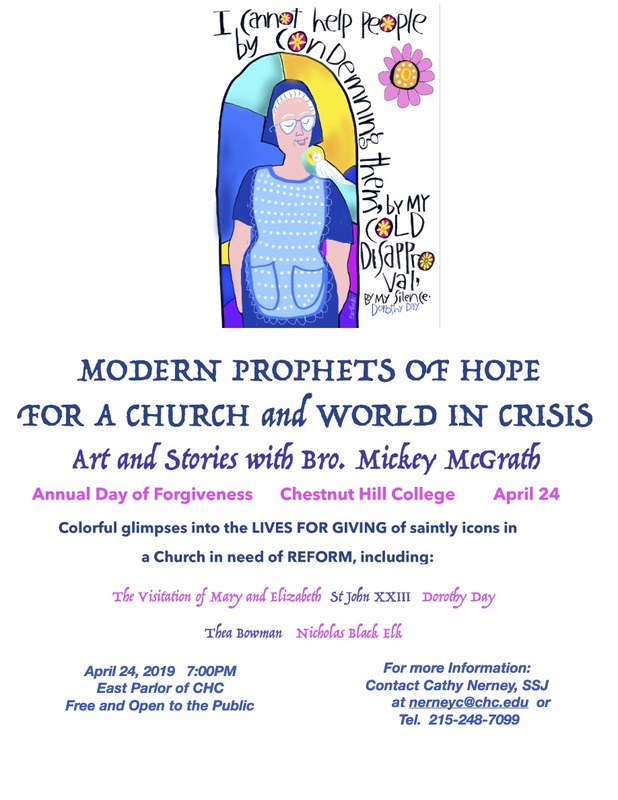 Sacred Heart and St. Brigid Parishes presents an evening of Art and Stories with Brother Mickey McGrath, OSFS. 6:00 Pizza and Salad, followed by Presentation at 7:00pm. 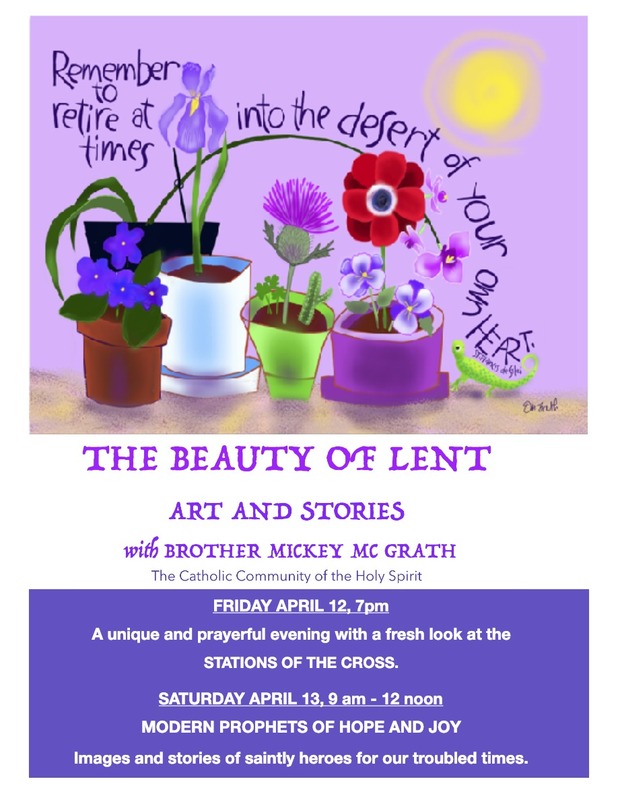 Sacred Heart and St. Brigid Parishes presents an evening of Art and Stories with Brother Mickey McGrath, OSFS. 6:00 Pizza and Salad, followed by Presentation at 7:00pm. 30apr7:00 pm- 9:30 pmSalesian Peace, DeSales University - Center Valley, PA.
For a full calendar of Brother Mickey’s events visit the calendar page.